During the last 15 years we have developed and honed an innovative and cutting edge methodology of behavioural and attitudinal development. Our programme has evolved from practical experience gained over the period, feedback from the young people and research into other work such as that of Howard Gardner, Daniel Goleman, and project D.A.R.E. in Canada. During our initial programmes we experienced that young people we had intensely worked with and supported had not been able to sustain the achieved levels of change in their behaviour or attitude. On completion of our programmes they experienced a fall back in their behaviour and had not been able to sustain either education or employment. We needed to know why and this led to further research on our behalf. It appeared that there was a basic set of competencies and skills that they did not develop enough at a sustainable level to be able to cope with re-engagement in mainstream activities and behaviour. Through studying Gardner and Goleman’s work we could see the elements of our programme that gave change and we could also see which elements were in need or further development. To put it simply we were starting at too high a level. 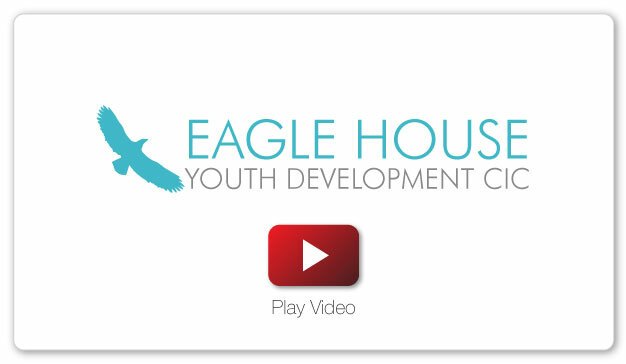 We needed to begin right at the base of the development process and build the young person up on a solid foundation. Through researching Gestalt Therapy we could understand how our methodologies, (developed through 10 years of working with these young people as well as listening to them and their suggestions) impacted on the young peoples’ learning and development, We have elements on a practical level of Phenomenology; Therapeutic relationship; Experiment; Dialogical however all of our application and development is done through and during actual experience as it happens, which creates a significant step change in the young person’s cognition and development. Our Young Achievers Programmes (YAP) use every opportunity to develop these critical skill sets in the young people who attend and by so doing develop their confidence, self discipline, motivation and work ethic as well as respect for themselves first and then for others. They leave the programme understanding themselves better and having a positive aim in life. Eagle House project managed the design and implementation in 2008 of a programme to 6 pilot schools and then were instrumental in the roll out to a further 51 schools, 11,500 students. This enabled us to trial some of our methodologies and content, and later fine tune it to create YAP. The skills and competencies encapsulated in Emotional Intelligence, integrally woven into our YAP programme are well accepted as being the building blocks of success. These are the social and personal skills and competencies that everyone needs in order to socialize successfully with others, to be socially and personally aware. How does the Young Achievers Programme benefit students? Helping them to develop fundamental social and emotional skills – skills that are essential in helping them realise their full potential to succeed in their academic, personal and social lives. Enabling them to make a positive contribution by developing the expertise and experience needed to understand their responsibilities as a productive citizen, and preparing them for the challenges and opportunities of adult and working life. Providing them with an opportunity to gain valuable knowledge and skills related to any job of work. Initially we would deal with males and females as separate groups. Vulnerable young people who are first time offenders who the courts wish to divert before they become entrenched in a downward spiral. Young people committing low level vehicle crime. Young people who have suffered abuse.